The kitchen bench plays an important role in the social dynamics of any household and is often seen as the centre of home life. Around the kitchen bench all the big decisions are discussed, friends relax for an informal meal, homework is done, and most importantly the peanut gallery watches the chef prepare the meals for the family. As such it is of vital importance that you have comfortable Kitchen Bench Stools, as you will find your family spends more time around the kitchen bench that at the dining table. Our range of Kitchen Bench Stools and counter stools is vast, and we have one of the largest online collections in Australia. We specialise in modern kitchen stools, retro counter stools as well as a wide range of replica bar stools that will suit your home or commercial premises. Our range of kitchen stools are made from a wide range of quality materials that are crafted to last a lifetime. Update your kitchen with our range of gorgeous bench stools constructed from timber, leather, steel, plastic, aluminium as well as solid wood. All of our kitchen bench height stools are available to inspect and take home to try from our Brisbane bar stool shop at Newstead. 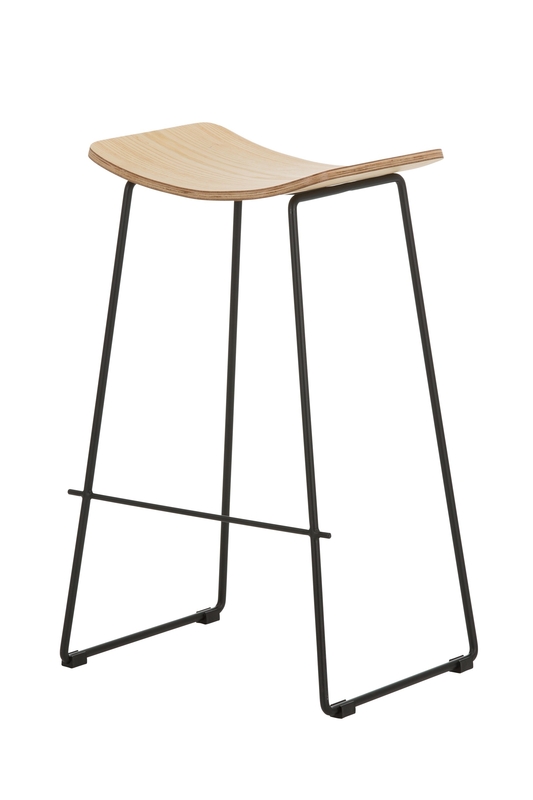 Our range of modern stools includes replica Hay Stools, replica Hee Welling stools, Wishbone stools and Turner bar stools along with many other famous designs. All of these stools are suitable for use around your home kitchen bench or island bench, built to the standard height of around 90cm to the top of the bench. Should you not be able to view our range of kitchen bench stools from our physical store, then we invite you to view our range of stools online. We offer inexpensive freight to major capital cities including Sydney and Melbourne; and we offer express freight services to any town in Australia. All of our kitchen stools are listed in our online shop including many popular replica designs by Charles Eames and Hans Wegner. At Replica Furniture we have a huge range of commercial bar stools that have been successfully placed in many upmarket restaurants and cafes in Sydney and Melbourne. Commercial customers are offered generous discounts on the marked prices of our kitchen stools and we guarantee that the stool you purchase is suitable for cafe, bar or hospitality use. Many of the stools we offer can be stacked, and are made from durable materials such as metal and aluminium. We sell kitchen bench stools direct from our Brisbane showroom, and have the widest range of bench stools available for collection in all of Queensland. Alternatively, buy our bar stools online with overnight delivery to Sydney and Melbourne. If you need any further information on our range, please call our customer service team during normal business hours.